This entry-level model for go-fast fans carries a satisfying amount of high-quality standard equipment. 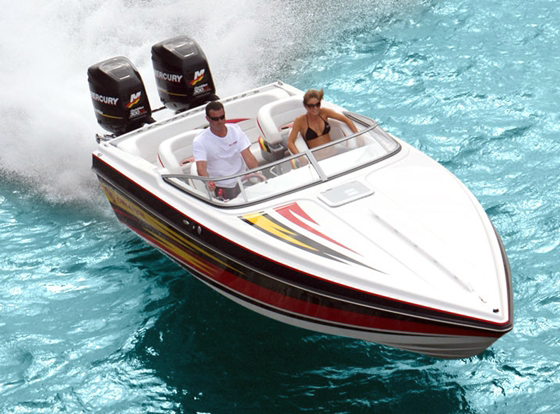 After more than a year of development and refinement—with a few production delays along the way tossed in for good measure—Checkmate Power Boats has completed and delivered its first two 26 Convincor models. 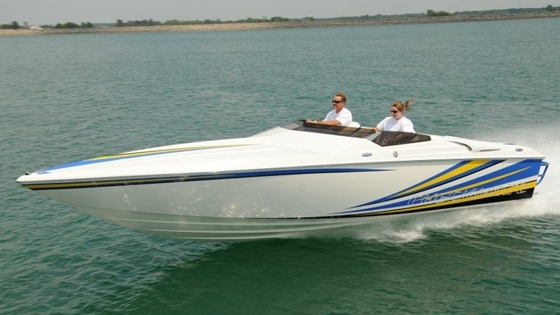 According to Doug Smith, the owner of the Bucyrus, Ohio, builder of outboard- and stern-drive-powered sportboats from 18 to 30 feet long, the builder already has orders for eight 26-footers. 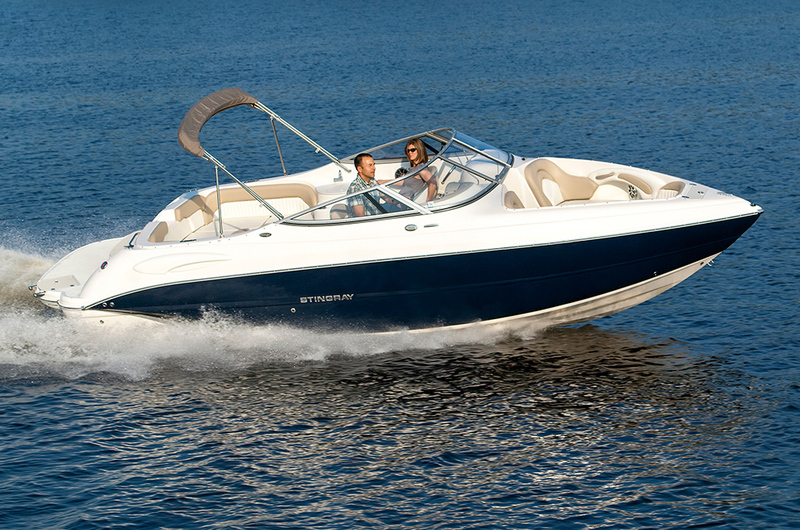 The first 26 Convincor was outfitted with an optional aluminum swim platform. 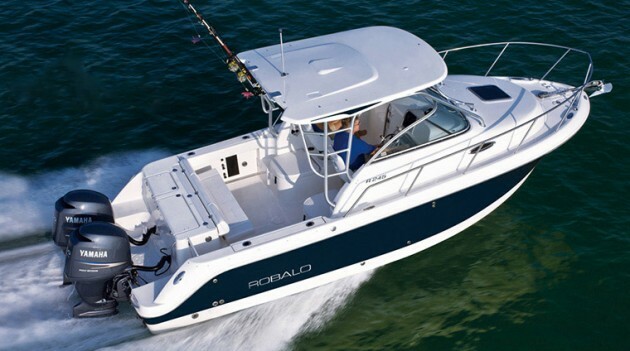 “We are very pleased with the response to this model so far,” said Smith, who founded the famed Baja line of production-built, price-point sportboats, which he eventually sold to the Brunswick Company. 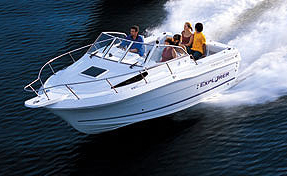 Bolsters are standard in the cockpit of the 26-footer. While Smith and the rest of the crew at Checkmate, including Dean Reynolds, who led the 26 Convincor development project, expect the closed-deck 26-footer to attract entry-level buyers, it is far from a bare bones model. 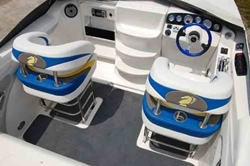 The base boat comes with manual drop-out bolsters for the driver and copilot in the deep cockpit, as well as a four-person rear bench and a sunpad. Cabin amenities include a cooler, stowage cabinets, facing benches, and a horseshoe-shaped lounge. 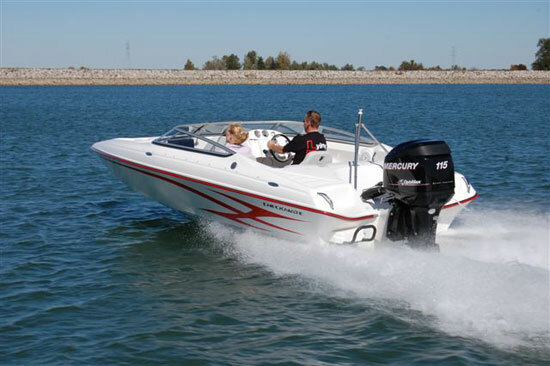 With a 380-hp MerCruiser 8.2 Mag engine—the base powerplant for the boat—providing the power, the first model reportedly reached 70 mph. 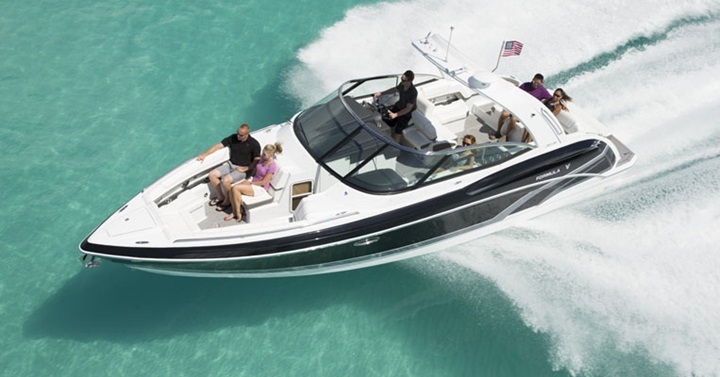 For buyers who want more low-end punch, mid-range acceleration, and top speed, the builder will offer the boat with a 430-hp H.O. version of the popular MerCruiser engine. 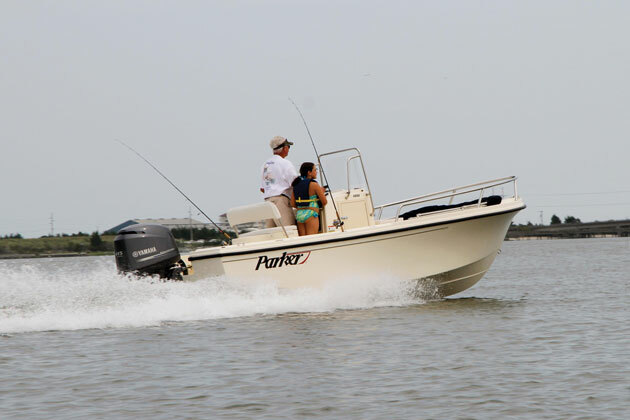 And as with most boats in the Checkmate line, Mercury Verado and OptiMax outboard engine packages also will be offered for the model. For its second 26 Convincor, Checkmate went with different colors in the gelcoat graphics. And the fiberglass swim platform on hull No. 2 is standard. “With a 300-hp Mercury Verado, the 26 would be a really nice-running package,” said Smith. 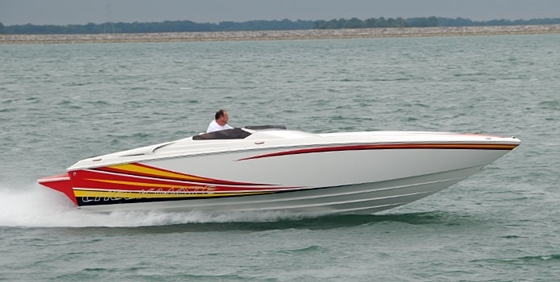 Four-color gelcoat graphics are standard on the 26-footer, as is a fiberglass swim platform. Additional gelcoat colors as well as an aluminum swim platform are options. Price for the 26 Convincor with base power—without a trailer—will range from $75,000 to $80,000 depending on power and options.